Go Pet Club Cat Tree F2040 72'' Just $85.95 Down From $169.99! FREE Shipping! 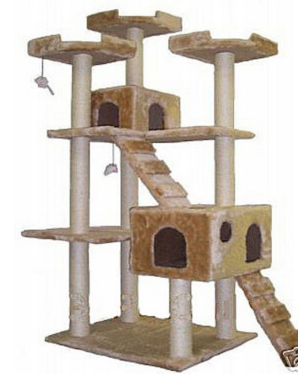 You are here: Home / Great Deals / Amazon Deals / Go Pet Club Cat Tree F2040 72” Just $85.95 Down From $169.99! FREE Shipping! Go Pet Club Cat Tree F2040 72” Just $85.95 Down From $169.99! FREE Shipping! Don’t forget to get a Christmas gift for your furry friend! Go Pet Club Cat Tree F2040 72” is just $85.95 down from $169.99 on Amazon! Plus FREE shipping! Get yours now while it lasts!